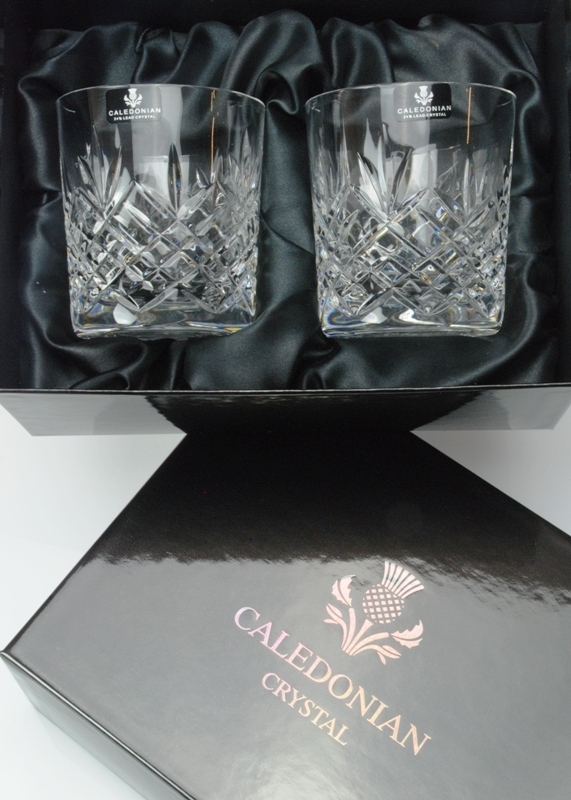 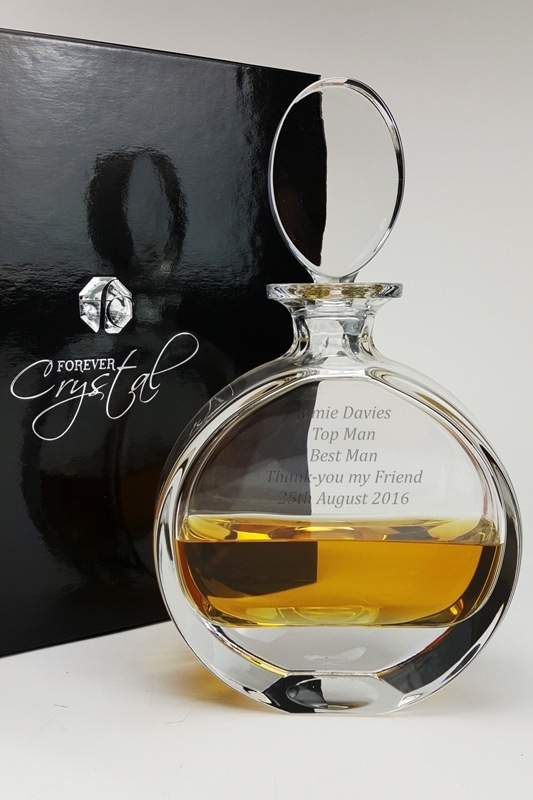 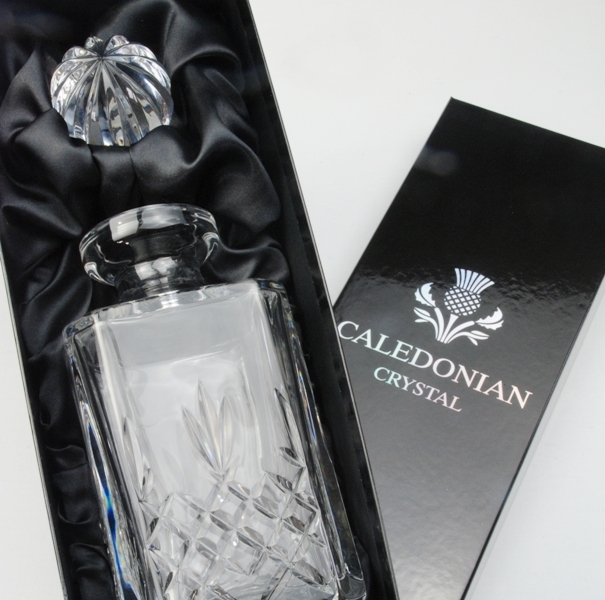 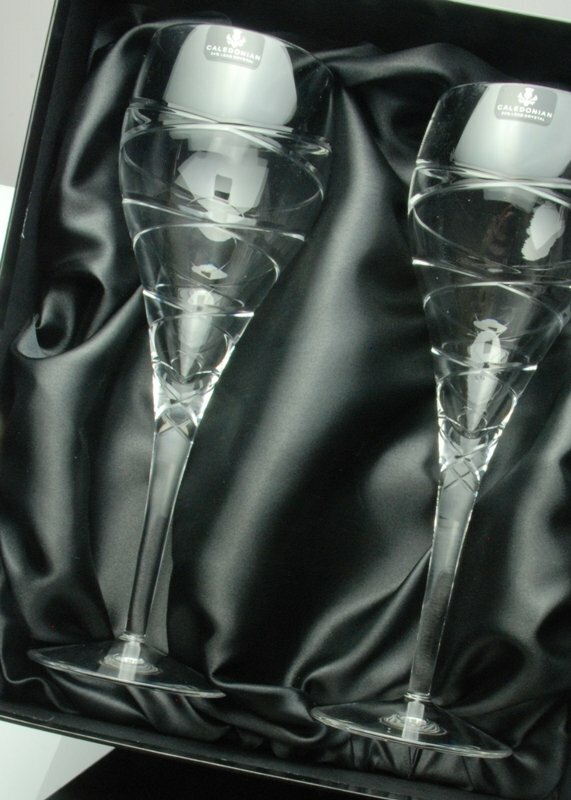 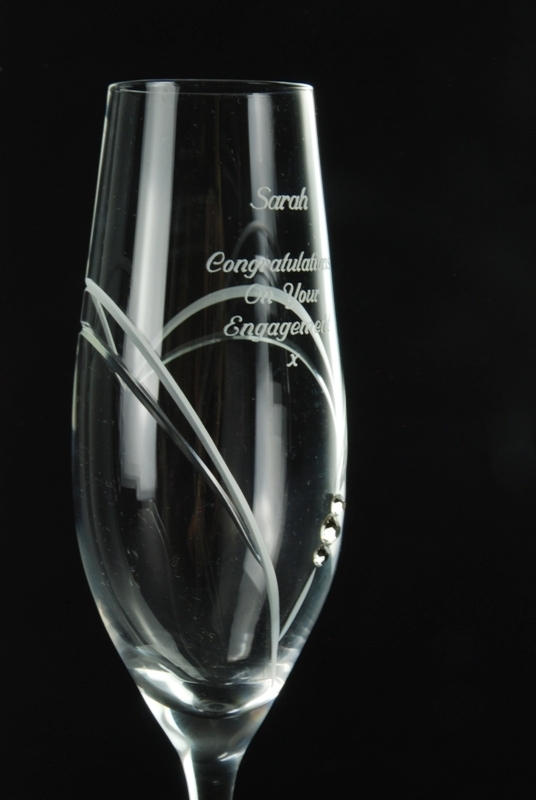 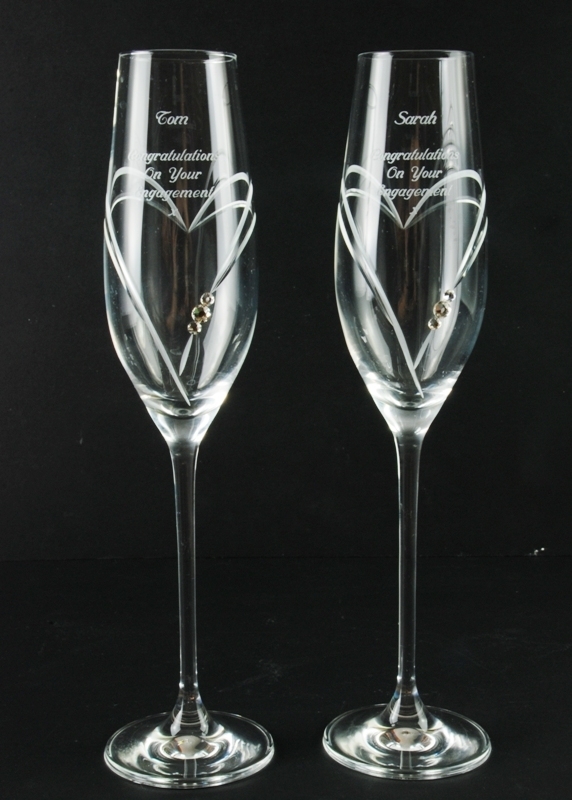 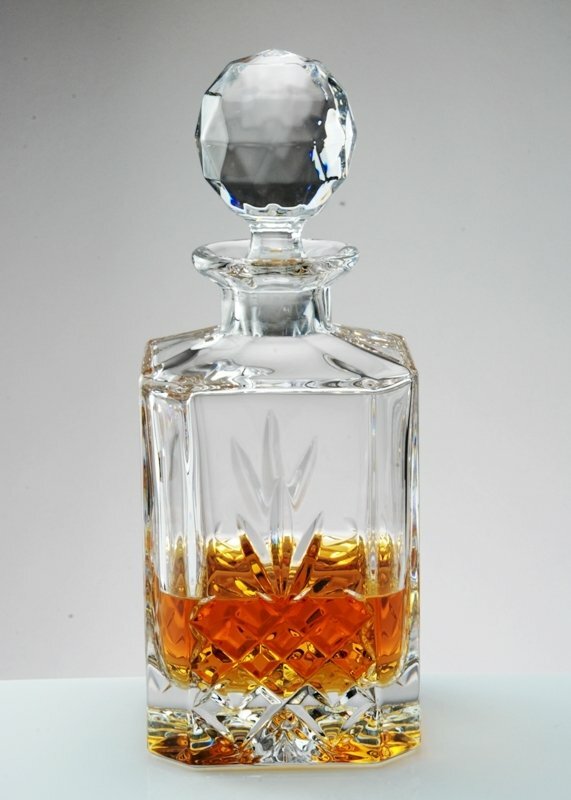 A substantial and stunning pyramid lead crystal decanter with a personalised diamond engraved inscription of your choice. 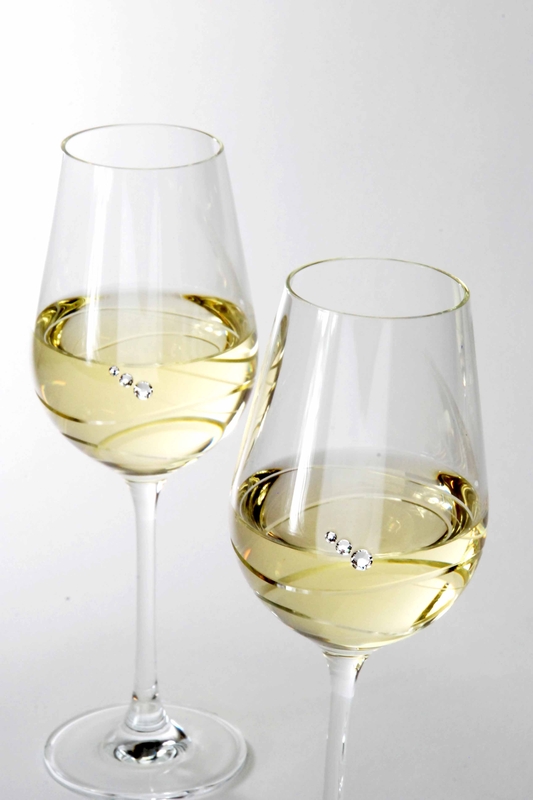 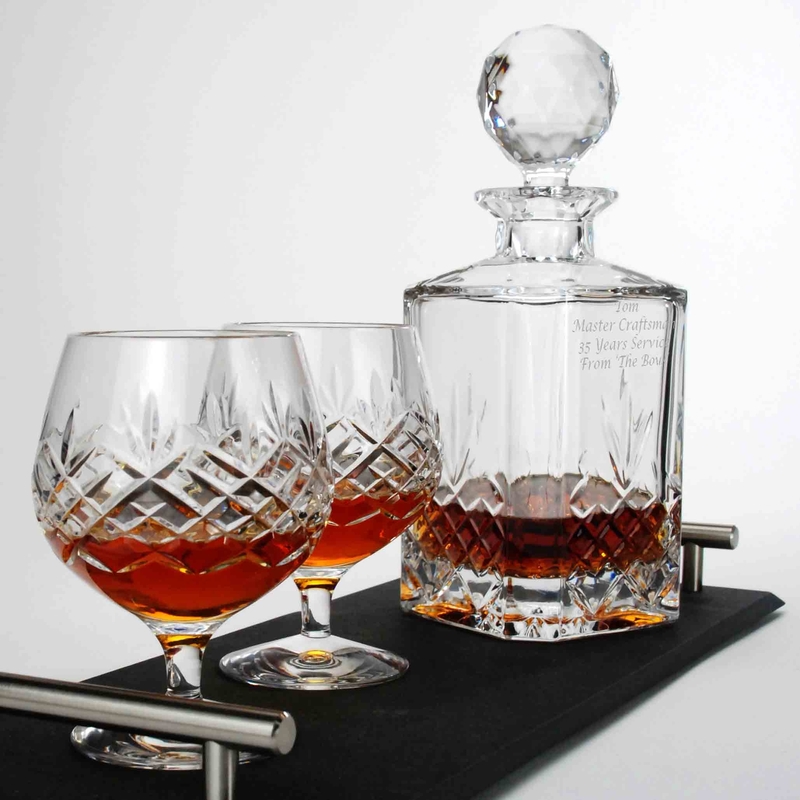 Manufactured by the world famous glass factory of Bohemia Crystal this decanter has a rectangular base of 175mm x 90mm and curved profiled sides which give this piece its unique appearance. 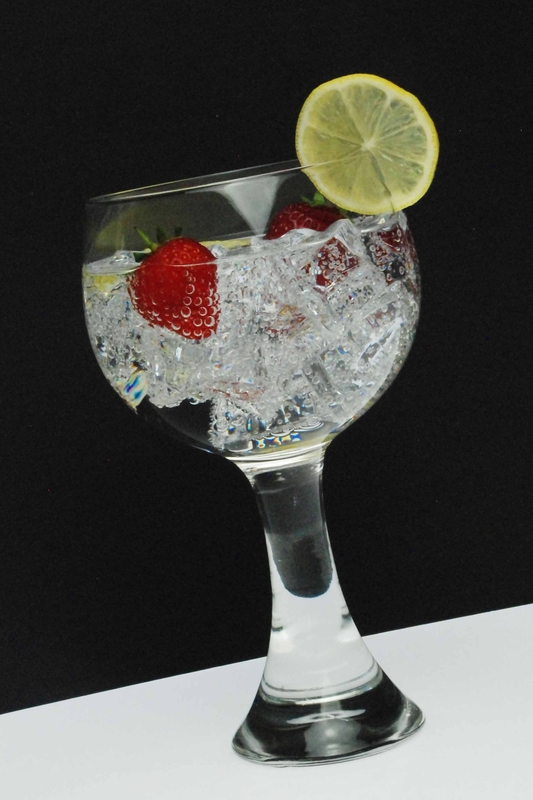 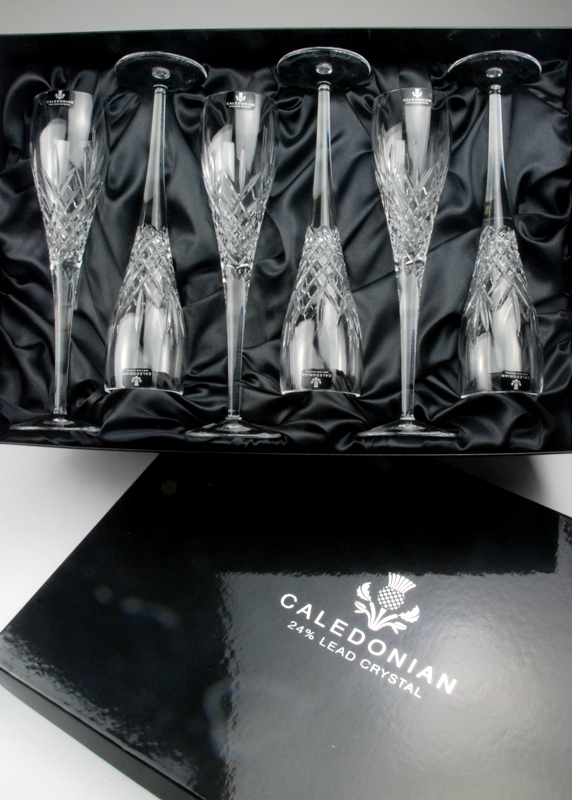 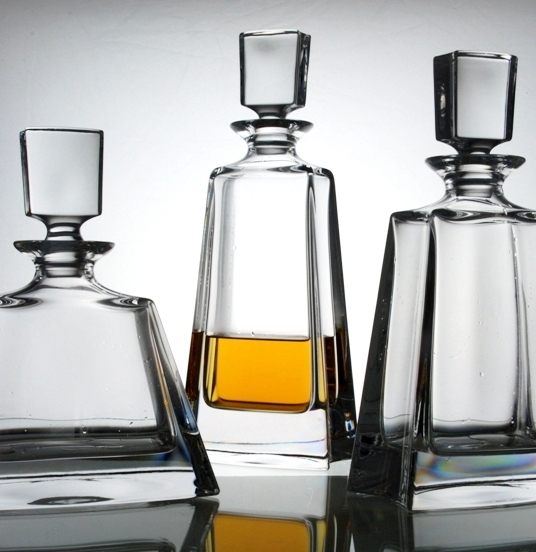 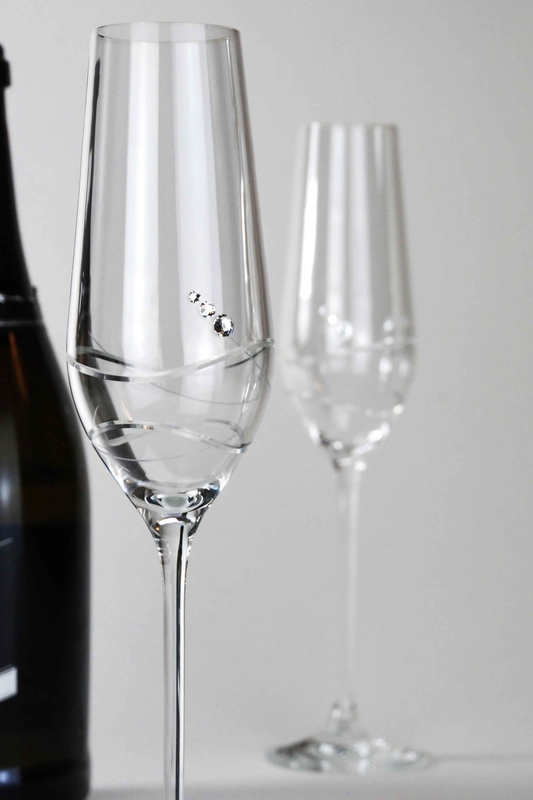 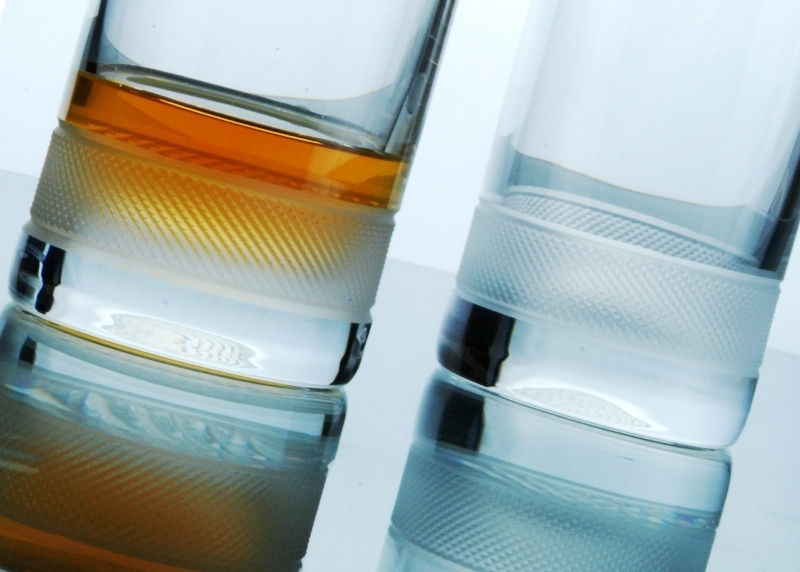 The Kathrene Decanter is handmade from 24% lead crystal and is perfect for storing and serving a variety of spirits including whisky, brandy or gin. 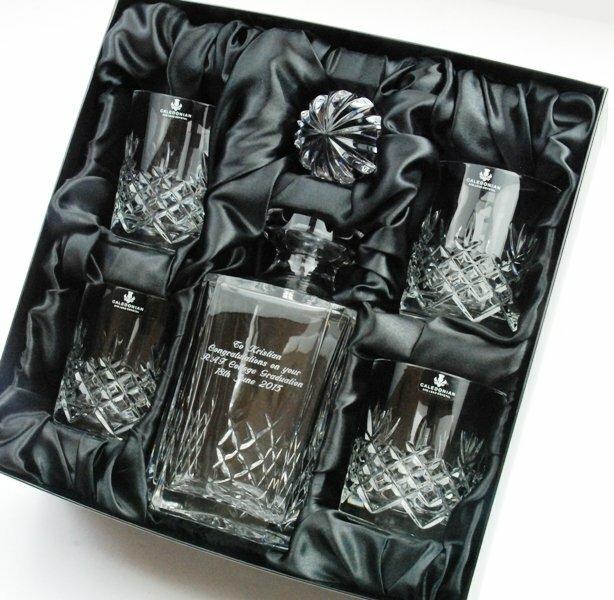 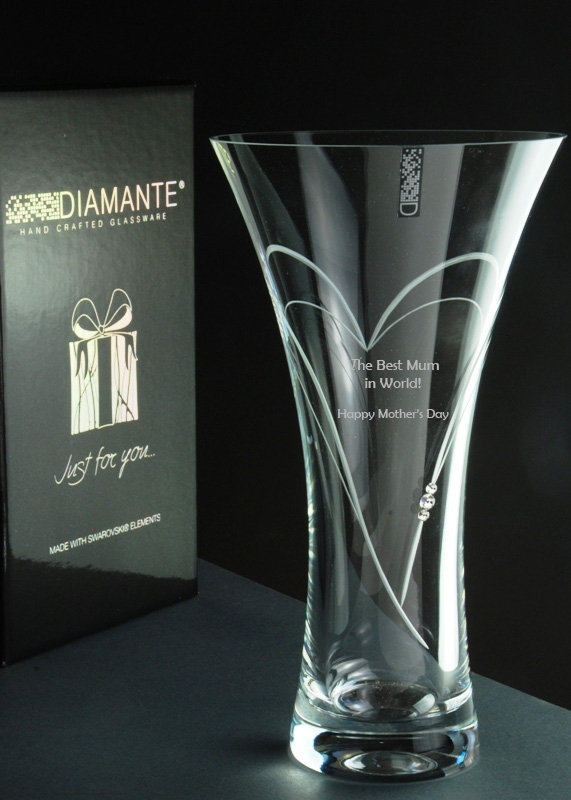 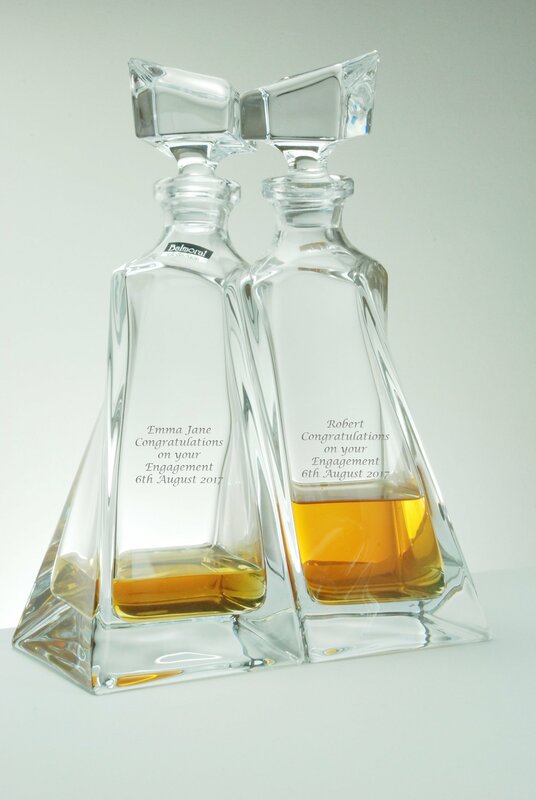 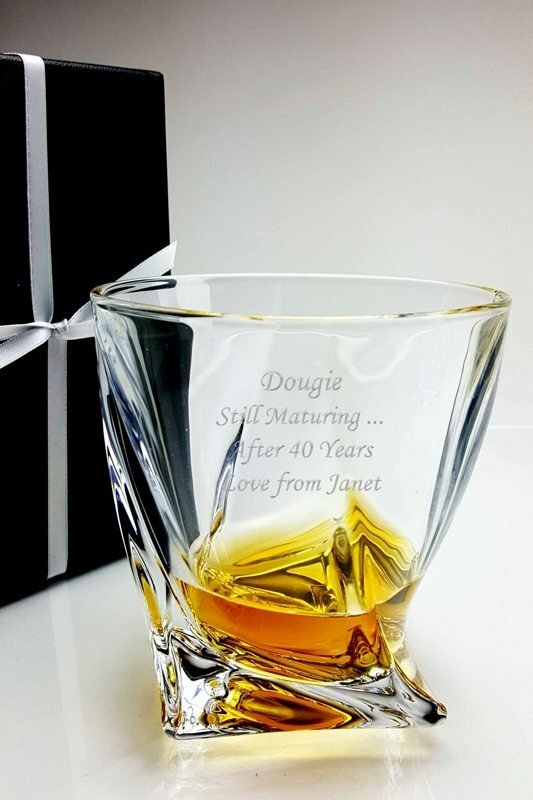 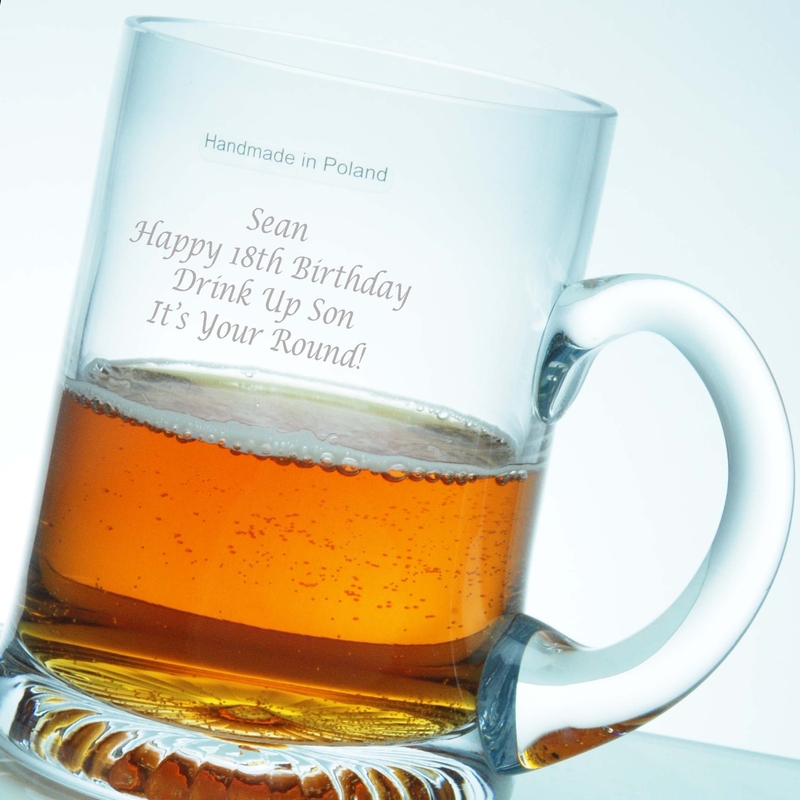 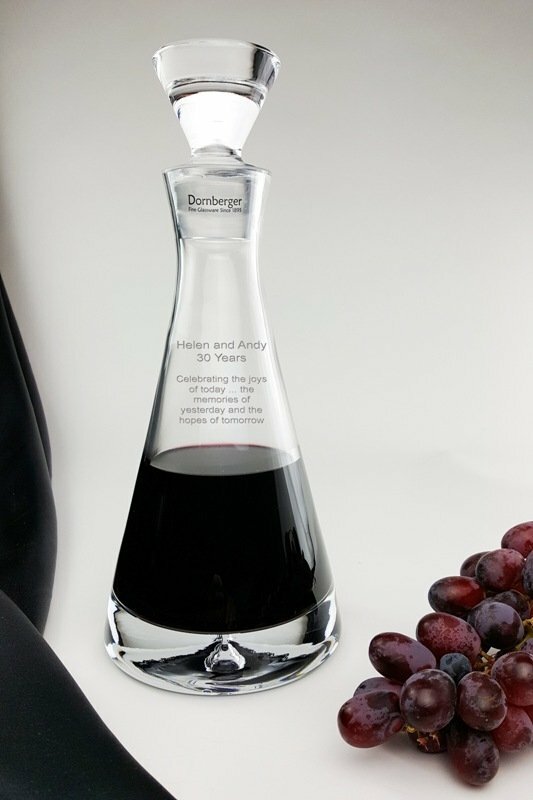 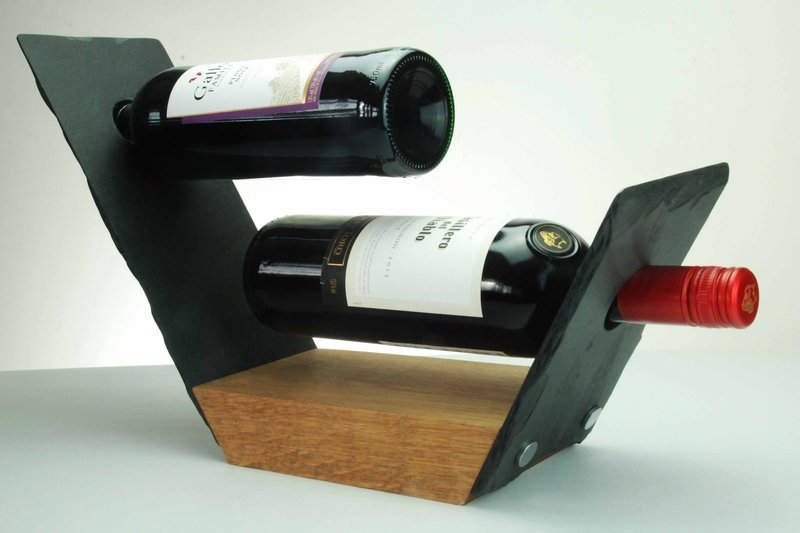 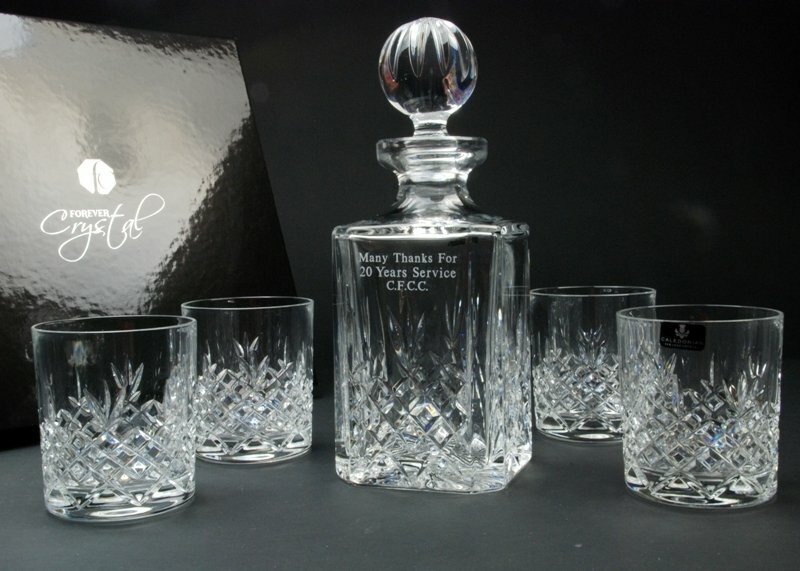 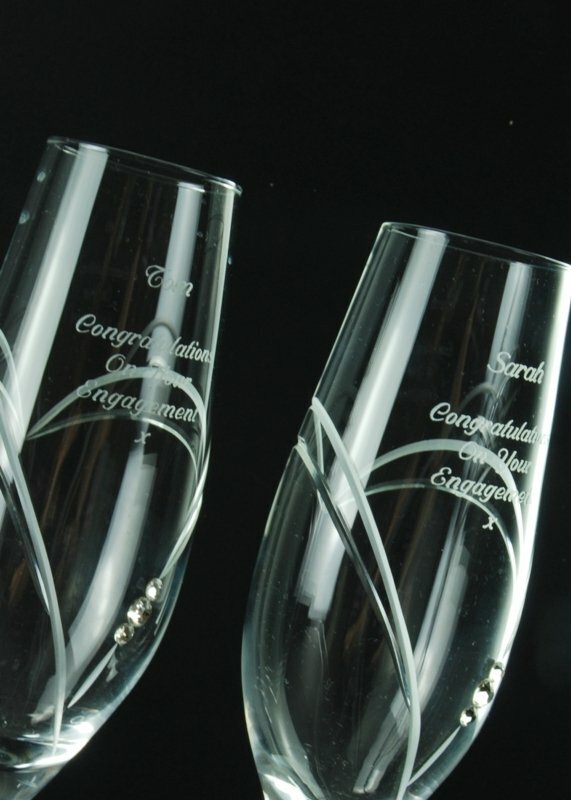 With a personal inscription of up to 4 lines and 24 characters per line (max), and presented in a high quality satin-lined gift box, this decanter is an ideal choice for a Presentation Award, Retirement Memento, Father's Day or Birthday gift.